Complete your Theory and Calculations CEU requirement with this 1-day, 8-credit class at the IECRM Denver Campus. This class provides an overview of Code Calculations and Ohm’s Law based on the NEC. You’ll review how to convert numbers from one form to another and back again, because numbers are part of electrical work and electrical calculations. PLEASE NOTE: STUDENTS WILL NEED TO BRING A CALCULATOR FOR THIS CEU COURSE. 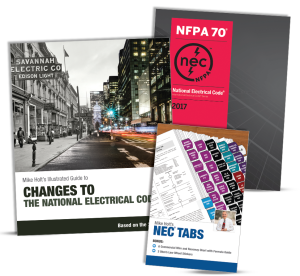 IECRM’s CEU courses meet the criteria of the Colorado State Electrical Board Rule 9.7, are approved for Wyoming continuing education, and are approved for New Mexico continuing education. In addition, this course meets the criteria for continuing education re-certification requirements of NABCEP Solar PV Certified Installers.